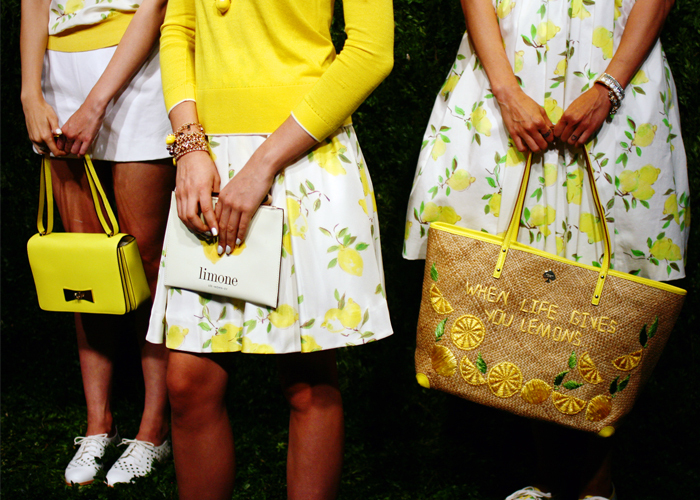 When life gives you lemons...make beautiful clothes! 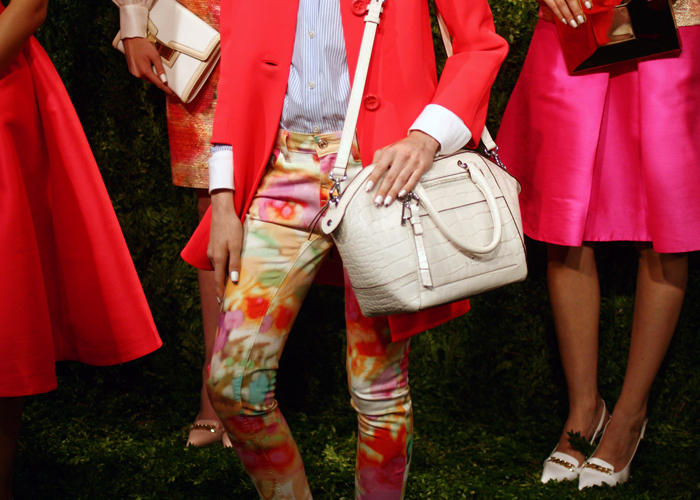 The scene at the Kate Spade Spring 2014 Collection was nothing short of beautiful. Upon entering the room I heard a girl exclaim "I feel like I'm at a wedding!" An accurate statement, if you ask me. What I love most about Kate Spade is how ladylike yet fun every piece is. 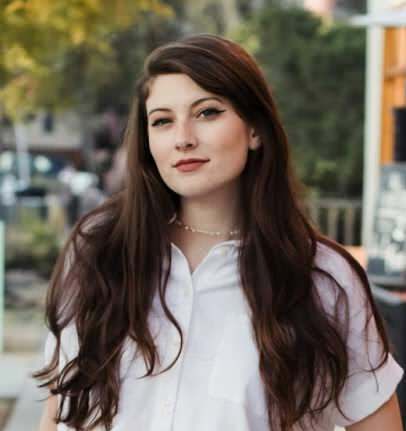 Attending the presentation was so nice because I was able to set my own pace and get up real nice and close for photos. Wanna see those nails? Ask and you shall receive! Big thank you to Kate Spade for the invite! Where did Deborah Lloyd gather the inspiration for this presentation of "Places to go, People to See"? In sunny Capri, Paris, and the roads of Monaco. "To me, they're all refreshing. And together they inspired our color palette of black, white, lemon, geranium, bougainvilla, giverny blue, and french navy. The real allure, of course, is that you never know who you may meet along the way." You can catch more snapshots and a behind the scene look over at Kate Spades Instagram account! Love the color of this purse and the pleated skirt it's paired with. So this means I can still get away with wearing a veil, right? Taking note of these shoes here...really need some more flat every day shoes! As you can see, bright colors are big here. Love that coat (has a bow detail on the shoulder) and the structured bag. Who doesn't need a white dress? Love the waist detail. 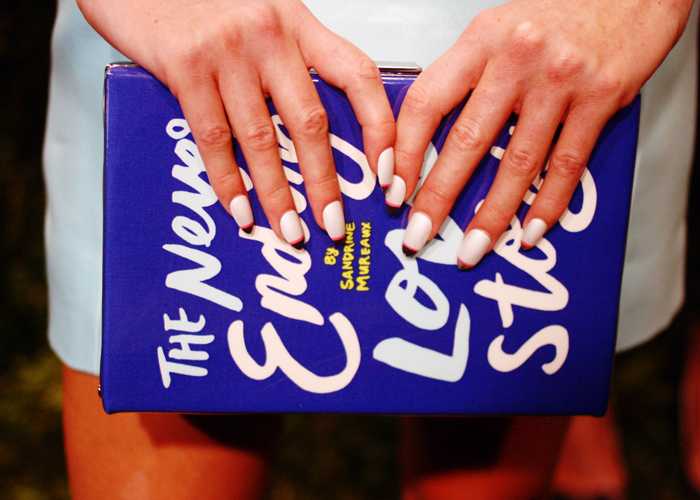 I might have to copy these nails next time I get them done...nails by Deborah Lippmann! Love this navy number with a bit of a sports vibe to it! Metallic on metallic? Glad to see matching pieces are still a go. Clear inserts are not going anywhere! Not only loved the dress here but also the accessories! glad you enjoy the post!! Gosh...I can't wait to see these collection on the shelves! They're so pretty. So glad you got to go to Fashion Week this year! Can't wait to hear more about it!